The Body Shop Celebrates 40 years + my Summer picks! Growing up as a teen in the 1990's The Body Shop was the one-stop beauty shop to find that perfect Sweet 16 gift. Every girl in high school had atleast one vial of perfume oil sitting on their dresser: Strawberry, Fuzzy Peach and my favourite scent Juba. Fast forward, The Body Shop is now a globally recognised brand, acquired by L'Oreal in 2006. The first shop was opened in 1976 in Brighton, England by Anita Roddick; selling only 25 beauty and skincare products with the focus on natural ingredients. Reusing and recycling by bringing back your empty containers and refill! Roddick was inspired by her travels and creating products influenced by those travels using natural ingredients which we would now consider "organic" and "green beauty". The Body Shop sources ingredients globally by working with local farmers and establishing a sense of community and providing fairly waged jobs to locals. This year, their new campaign Enrich Not Exploit™. It’s in our hands. is a continuation of that philosophy of community, not testing on animals, and ethically traded products. 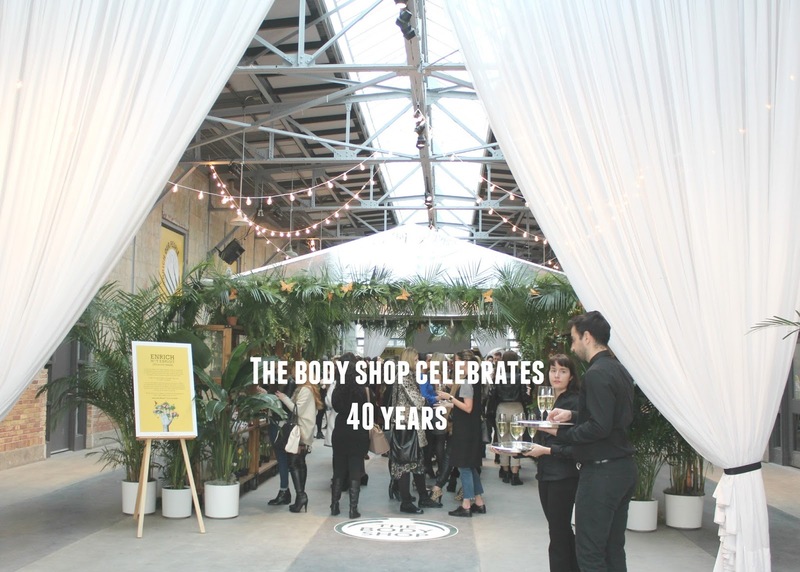 To mark their 40th Anniversary, The Body Shop has introduced several new products. I pick a few of my favourites for the Summer. Beginning with their body butters, which are so popular for good reason. Honey Bronze: Drops of Sun is a must have this Summer, add a few drops to moisturiser and voila you create a customised tinted moisturiser. Facial oil, Oils of Life, for full review. Lastly, a great alternative to the Oils of Life is the serum Drops of Life, a light weight serum enriched with red algae and vitamin C.
Does The Body Shop evoke any memories for you? Share your favourite products past or present.